Inaugural 3-day film festival in Texas was a hit. 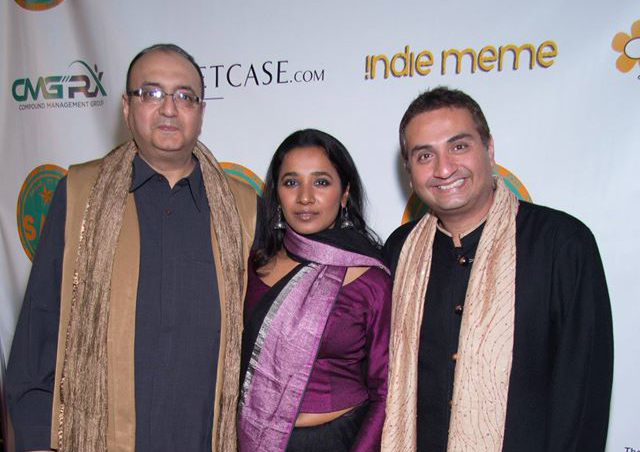 NEW YORK: Despite the icy weather and dangerous driving conditions in north Texas, more than 1000 cinephiles attended the 14 shorts, documentaries and feature films at the inaugural DFW South Asian Film Festival (DFW SAFF) from February 27 to March 1, 2015, at the Angelika Film Center in Plano, Texas. 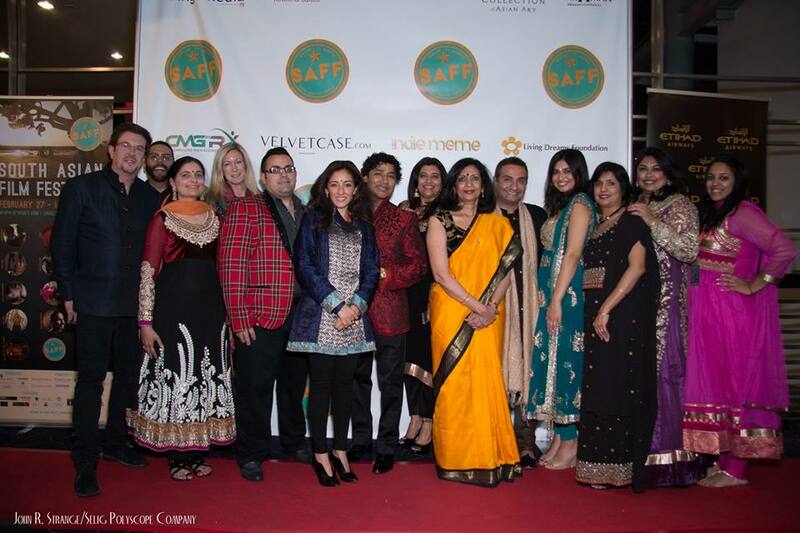 DFW SAFF Advisory Board Members – From L to R: Patrick O’Hara, Patric Alva, Nikita Vyas Hattangady, Nancy Williams, Josh Hurtado, Ami Doshi, Tanveer Rahman, Tripti Bhatnagar, Ritu Elhence Krishna, Jitin Hingorani, Krystal Sarna, Anjali Desai, Aarti Sarna and Ambica Dev. The three-day festival kicked off with opening night film Brahmin Bulls on Friday, followed by shorts and documentaries Katiyabaaz/Poweless, Asian Pride Project, Fire in the Blood, and Tomorrow We Disappear and women’s programming Blouse, Happy Raksha Bandhan and centerpiece film Sold on Saturday. Sunday’s showcase films included family programming Ravi and Jane and The World of Goopi and Bagha, followed by youth programming shorts Therapy, Just Friends and Acceptance. The closing night film was the world premiere of Rough Book. “Brahmin Bulls” director Mahesh Pailoor in conversation with New York Indian Film Festival (NYIFF) Director Aroon Shivdasani. The producers, directors and actors who attended the festival and walked the red carpet included: Viveck Vaswani, Tannistha Chatterjee, Mahesh Pailoor, Jeffrey D. Brown, Jane Charles, Dylan Mohan Gray, Suma Reddy, Fahad Mustafa, Deepti Kakkar, Tarun Verma, Arun Sukumar and Ryan Matthew Chan. From left to right: “Rough Book” producer Viveck Vaswani with lead actress Tannishtha Chatterjee and festival director Jitin Hingorani. The film festival was produced by Jingo Media, Etihad Airways and Jet Airways, Cambria Hotels and Suites and CMGRX and sponsored by The Shraman Foundation, Parish Episcopal School, Milaap, Living Dreams Foundation and The Container Store.